God's Word in their hearts. As parents, we want our children to learn about the Lord and know His Word. What a joy it is to watch them begin to understand God's Word, speak it from memory, and be transformed as it becomes a part of them! It's our job to equip them for life, to prepare them for whatever lies ahead. The words of God's truth they hide in their hearts will be with them forever--a source of guidance, comfort, and spiritual nourishment no matter where they go. I Can Learn the Bible adapts O. S. Hawkins's The Joshua Code for kids, guiding parents in helping their children understand and memorize fifty-two Bible verses. Each engaging weekly devotion prompts discussion and explains the accompanying verse in a way that kids can understand. Written by Holly Hawkins Shivers, daughter of O. S. Hawkins and a mother of little ones herself, I Can Learn the Bible will help your children learn and live the Scriptures. Plant the seed of Scripture in your children's hearts--and watch them grow! Scripture memory has long been a part of my life. Several years ago I came across a wonderful book called The Joshua Code. It was a great tool to use for memorizing a Scripture a week. 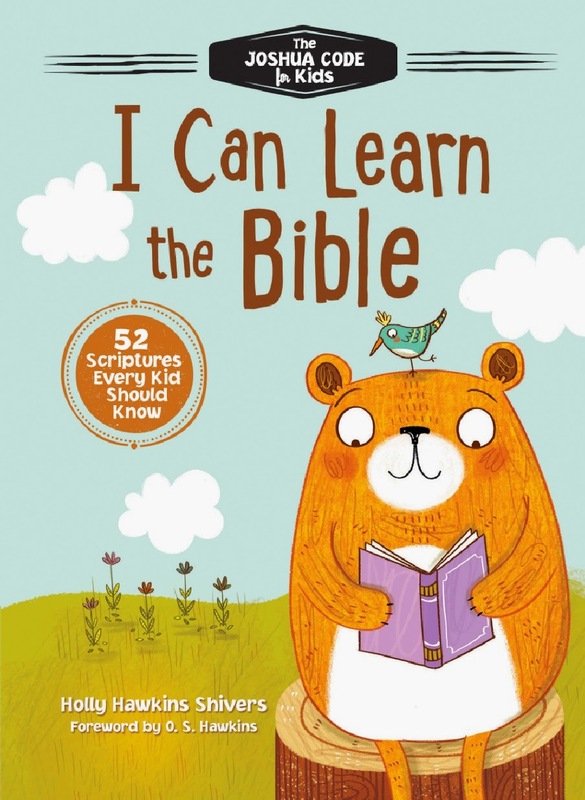 Now the daughter of that book's author has come out with I Can Learn the Bible which is designed on the same template to allow your children the opportunity to also learn a Scripture a week. One of the things that I really liked about this book was the fact that it follows along with the original with the exception of one week. So it would make a perfect plan for the whole family to spend the next year studying and memorizing Scripture together. The children's version is simplified but not dumbed down. The same concepts are taught to children just at an appropriate level to enhance their understanding of what is being presented. From personal experience let me just say that there is nothing more precious coming out of a child's mouth than the life giving Word of God. You won't regret one moment of helping your child hide God's Word in their hearts. We have partnered with Tommy Nelson to offer one of our readers a copy of I Can Learn the Bible. The giveaway is open to U.S. residents and will run through midnight on Saturday, December 6, 2014. You must be at least 18 years old to enter. The winner will be contacted by email and will have forty-eight hours to claim the prize. If unclaimed, a new winner will be drawn. The winners’ entries will be verified. Please enter the contest using the Rafflecopter form below. All entries are optional. For us, we just say the verse we are memorizing together during breakfast each day. It's amazing how quickly they memorize it! We make it fun. Sometimes we make it dramatic or we might try and sing a verse through. We have not started to do memorization yet but I'm sure repetition will be important. My sons are too young for memorization, but I appreciate any ideas for when they are ready. Scripture memory songs/CDs help my 6 and 4 year old learn verses. We know a bunch this way, since the CDs are always playing in the car. And once the tunes are learned, they can recall the verse years later!